If you are like me you are always looking for ways to add dollars to the bottom line of your photo booth business. Its true, we all are looking for ways to make just a little bit more each event. Whether it's $20, $50 or $100 it all counts and puts money in our bank accounts. One effective way to do this is by giving your clients premium print designs that wow their guests. I am not talking about simply slapping their names or a business logo on the print template. No I am talking about premium designs that match their events theme, their brands identity. You know, designs that leave their guests going "this is amazing" and proudly displaying their strips on their fridge. 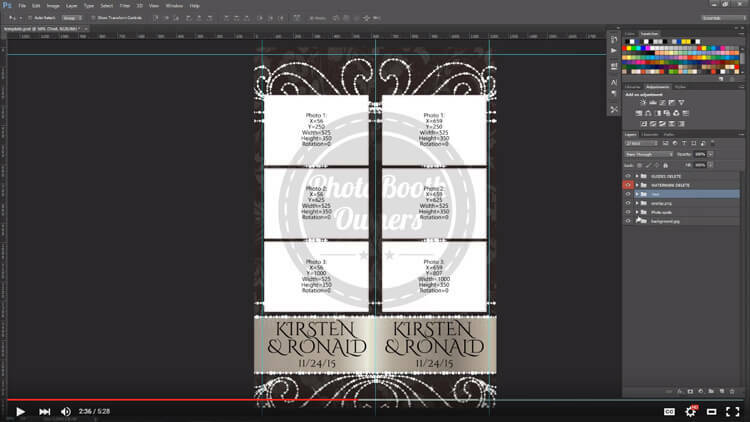 A single great print template can generate you hundreds of extra dollars annually! What's great? It scales up depending on the size of your business. Do more events, make more money. Do I have your attention? Yes, generate extra income by providing premium print designs your customers. Two ways that you can generate money by doing this is either by an upsell of X dollars or by simply raising your price and including it as a value add. I have found that it is important to meet clients face to face that way you can show them how your prints book and most importantly how they feel. The other way is to add premium print design services to your package options. This allows you to keep your prices fixed and add to your bottom line when a client chooses your premium prints. When going this route you need to be sensitive on how much you charge for this service. Some markets will only allow for $30 for this service while others may allow for $75 or more. Your price point will depend on your market. In addition to both methods outlined above you want to market your prints designs on your website, your social media pages (Facebook, Google+) and any galleries that do not require password protection. If you can effectively market your designs online then you have increased the chance that your value proposition will affect prospect clients enough to purchase your services over your competitors. Even if you are more expensive as most premium services are. If you have never worked with Photoshop or similar graphic design tools then you know the steep learning curve these designs present. Mastering these tools takes a lot time and energy and quite frankly years to master. This time cost you money as it prevents you from performing tasks that could be making you more money. If you find yourself nodding your head in agreement then you might want to evaluate ready made designs. Here at Photo Booth Owners we have launched the PBO Design Shop where you can purchase premium designs at a cost-effective price. We have lots of designs and are regularly adding new ones. There are also others who provide similar services and others that offer completely custom designs on a project by project basis. If a custom design interests you I recommend that you post your requests in the Design Request section of the community site. One of our amazing members will work with you and create you a killer design. Not a member of our community site? 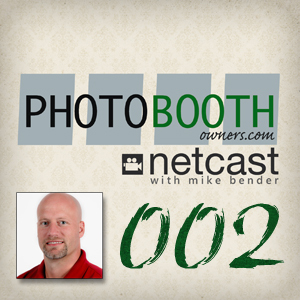 Sign up today at photoboothowners.com/join and join the photo booth discussions its completely free. Today I've touched on how you can generate extra income by providing premium photo booth templates to your clients. In the future I will touch on many other methods you can use to generate additional revenue streams for you business. Until next time, happy boothing! 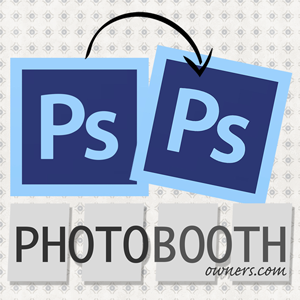 Have you purchased one of our photo booth templates? Leave a comment and let others know your thoughts.